With Housecall, you're in control. Easily update your card on file or upgrade your plan from directly within your Housecall Pro account. Click on your picture in the upper right hand corner of your dashboard to go to your Account Settings. 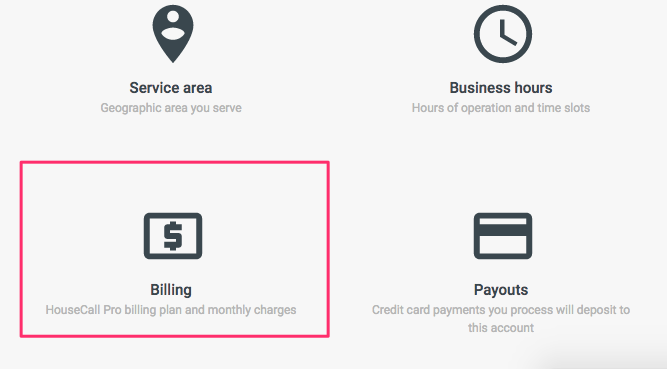 Then choose 'Billing' in the bottom left. This will take you to your billing profile. You will see the current plan you are on, when you will be billed next, any special notes about your billing and a history of all charges made to this account. To update your information, click on 'update' to view your current credit card information. 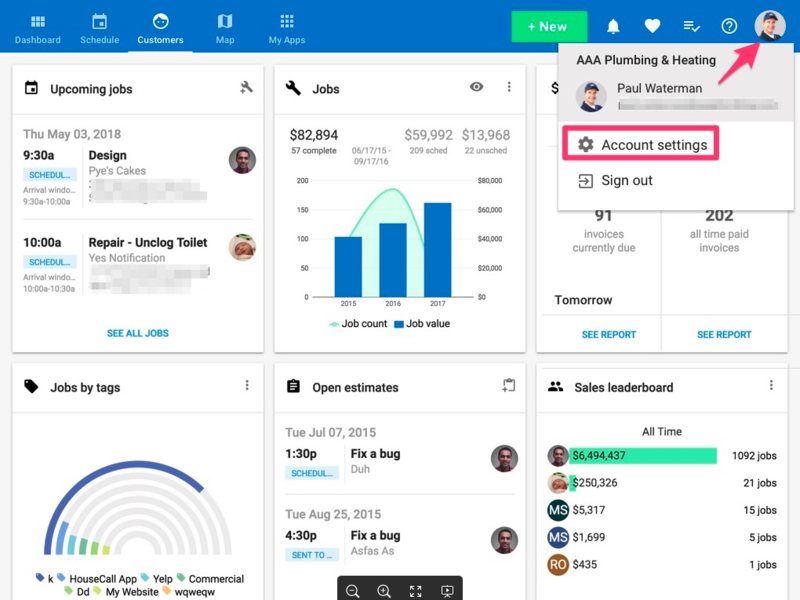 This will bring you to a new window that will allow you to adjust your information in two ways. 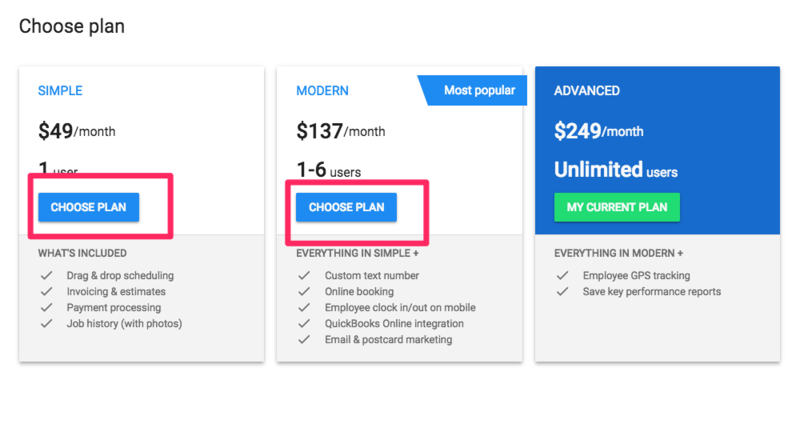 If you'd like to change the plan you're on you can select a new plan option along the top. If not, leave that portion as is. Or you can update the credit card information on file. To update the card information, click the 'update' button next to your name and the last four digits of the card that is currently entered. 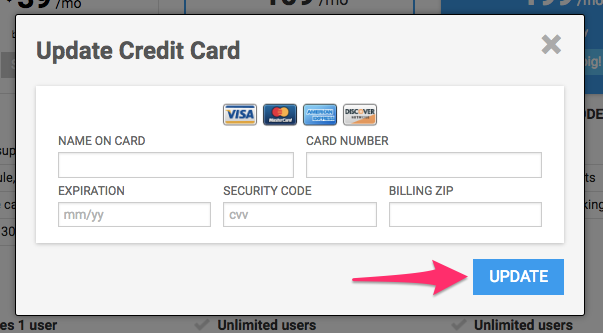 A window will appear where you can enter the new credit card information. Be sure that the zip/postal code that is associated with that card is correct. When all of the fields are complete, click the 'update' button in the bottom right.